Jenna sent me a link this morning to an article posted at cbc.ca. I'll post the first few paragraphs here. I'll highlight my favorite parts... that last paragraph is awesome. Canada's poppy quarters caused sensation warnings of 'spy coins' in U.S.
WASHINGTON (AP) - An odd-looking Canadian quarter with a bright red flower was the culprit behind a false espionage warning from the U.S. Defense Department about mysterious coins with radio frequency transmitters, The Associated Press has learned. The harmless "poppy quarter" was so unfamiliar to suspicious U.S. army contractors travelling in Canada that they filed confidential espionage accounts about them. The worried contractors described the coins as "filled with something man-made that looked like nano-technology," according to once-classified U.S. government reports and e-mails obtained by the AP. An odd-looking Canadian quarter with a bright red flower was the culprit behind a false espionage warning from the U.S. Defense Department about mysterious coins with radio frequency transmitters. An odd-looking Canadian quarter with a bright red flower was the culprit behind a false espionage warning from the U.S. Defense Department about mysterious coins with radio frequency transmitters. The silver-coloured 25-cent piece features the red image of a poppy, Canada's flower of remembrance, inlaid over a maple leaf. The unorthodox quarter is identical to the coins pictured and described as suspicious in the contractors' accounts. 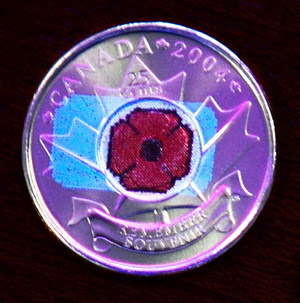 The supposed nano-technology on the coin actually was a protective coating the Royal Canadian Mint applied to prevent the poppy's red colour from rubbing off. The mint produced nearly 30 million such quarters in 2004 commemorating Canada's 117,000 war dead. Department about mysterious coins with radio frequency transmitters. I just love the part where he puts the quarter under a high power microscope. I think it's a beautiful coin. I'm jealous. 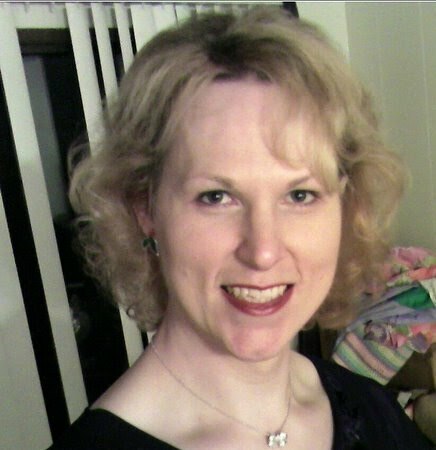 Speaking of beauty, I think you are very pretty in your latest profile photo.